Welcome to the first post of our newest blog series: History Beyond the Pages. Before we begin I would like to give you an introduction to our newspaper digitization project at the Cape May County Library System. Cape May County has a rich history that has been thoroughly documented through the various township newspapers since the late 1800s. As a preservation effort for aging newspapers many years ago the collection was put on to microfilm and until recently the only way to access these newspapers at the CMCL was through a microfilm machine. In 2014 we began a digitization project to take our local newspapers on microfilm and make them available online for free. Newspapers published prior to 1923 are no longer until author copyright and we began digitizing those. We later obtained permission from some of the local newspaper publishers to include editions from 1924 to current. We run this effort primarily on a volunteer basis. With this project not only would our patrons be able to view the newspapers, they would be keyword searchable to assist with finding the desired information, persons, and dates more quickly. We also discovered that through our scanning of the microfilm that there is a great deal of interesting history that occurred in Cape May County that we could highlight in our blog. This series is designed to bring to light some of the lesser-known or long forgotten stories in Cape May County. 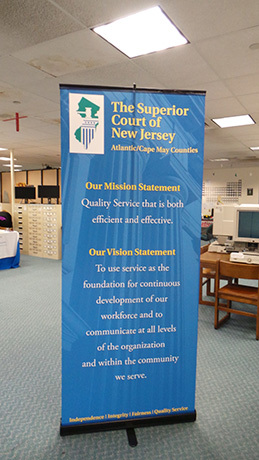 If you would like more information including the newspapers, volunteering, or general questions about our digitization project, please contact Kara Brehm at the Technology Learning Center at the Cape May Court House Library. 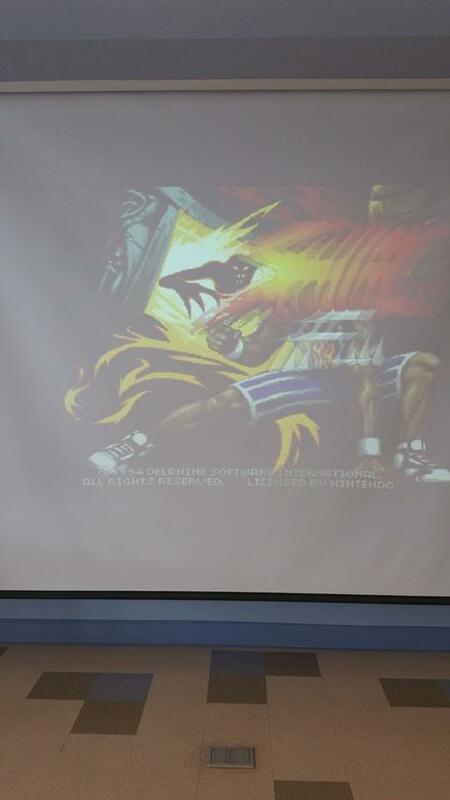 Check out what we currently have digitized at http://vdls.cmclibrary.org. Thanks for reading, and I hope you enjoy History Beyond the Pages! With Election Day come and gone, it seems appropriate to launch this “History Beyond the Pages” blog series with commentary on political cartoons. Working on the archival project at the Cape May County Library, I’ve come across many in our microfilm collection. Some were rather tame. 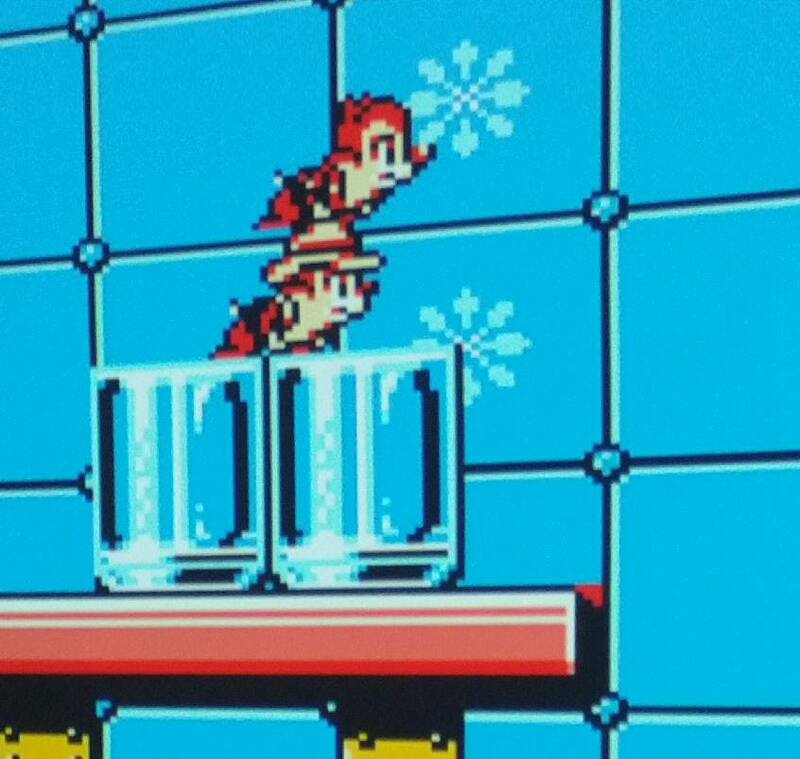 Some were genius. And, honestly, some were downright odd. However, let me give a general overview of the art form and their connection with the United States, before delving into a few of my favorites from the library’s archives. Political cartoons are intertwined within American history. Political cartoons are an illustrated commentary on current events and peoples. Trademarks of the art form are exaggerations and satire. Although the art developed within England in the eighteenth century, such as through social caricaturist William Hogarth, the practice has been used since the start of our country. 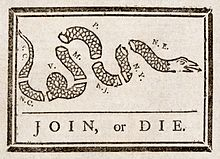 One infamous political cartoon is Benjamin Franklin’s “Join, or Die” caricature, published in the Pennsylvania Gazette in 1754, which is a recognizable part of our country’s early history. many different meanings throughout the lead up to the American Revolution. During the Civil War, political cartoons saw their height. Artists, such as Thomas Nast, known as “The Father of the American Cartoon,” refined the art form into what we know of it today. Nast, for example, is responsible for the creation of Uncle Sam, the Republican elephant, and the Democrat’s donkey. 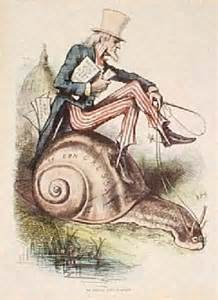 Uncle Sam depicted in a cartoon by Thomas Nast. Political cartoons continue to thrive within American culture, but its heyday is long past. Today, publishers decide whether or not keeping controversial voices conflict with their business agendas. Therefore, we often see more “tame” art within the mainstream media. 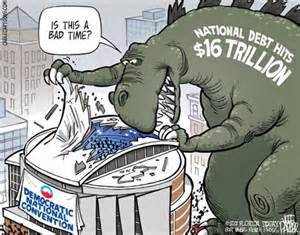 Modern example of the political cartoon. Many of the political cartoons I’ve come across many political cartoons from the so-called heyday. Most I discovered from within the Cape May Herald with publication years falling within the 1903-1907 range. Take a look! Cartoon from the May 30, 1907 edition of the Cape May Herald. During a time when national labor unions were being structured, the rights of the worker were being heavily debated. 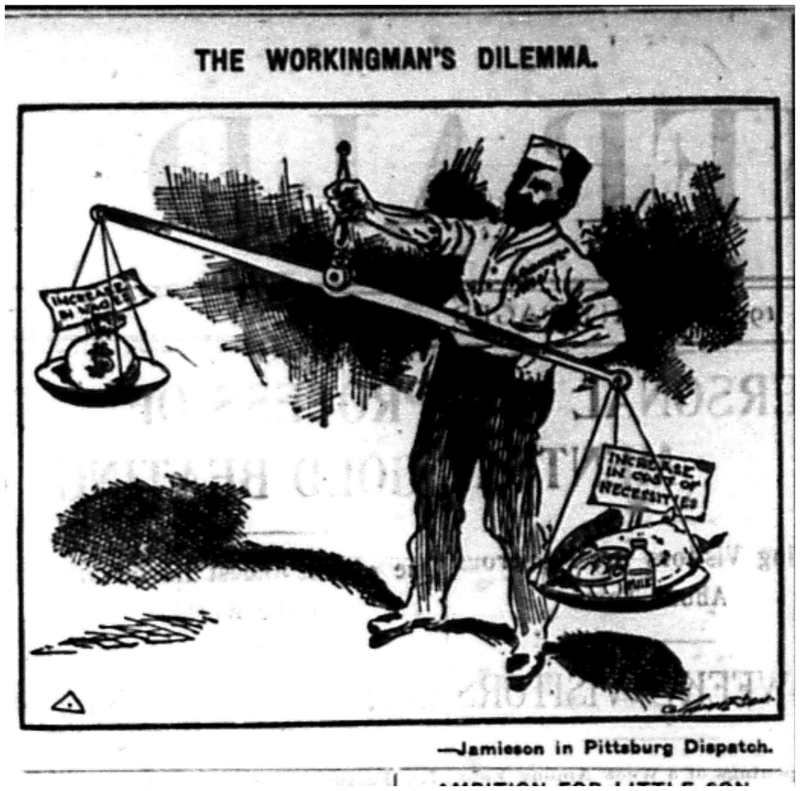 The above cartoon, taken from the May 30, 1907 edition of the Cape May Herald, shows what appears to be a laborer balancing the “Increase in the cost of necessities” with the “Increase in Wages.” Judging from where the scales are tipping, the “Increase in the cost of necessities” outweighs the “Increase in Wages.” Even in today’s America, this struggle remains true for many. Cartoon from the November 3, 1904 edition of the Cape May Herald. Above is a political cartoon dating from November 3, 1904. Depicted is Charles C. Black, who was the Democratic nominee for the Governor of New Jersey in the 1904 election. 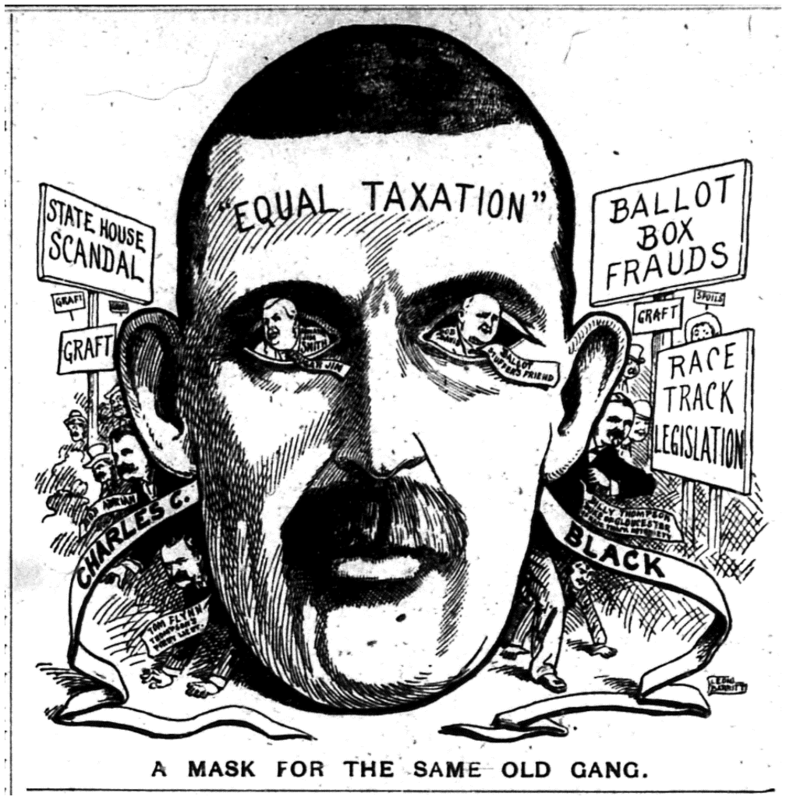 The cartoon depicts Black as a mask for the Democrats, offering promises of “equal taxation,” but behind the guise we see faults within the party. A few listed in the cartoon are ballot box frauds, race track legislation, and state house scandal. Charles C. Black lost against his Republican opponent, Edward C. Stokes, by approximately 50,000 votes. Cartoon from the April 19, 1906 edition of the Cape May Herald. Baseball was a popular pastime in the beginning of the twentieth century. The World Series was founded in 1903 as part of an agreement between the National League and American League, two separate baseball organizations. The creation of the baseball championship, pitting these two organizations against the other, benefitted in popularity with fans. Also prominent in this period were strikes by unions. Within the political cartoon above, we see Uncle Sam watching a baseball player strike out. 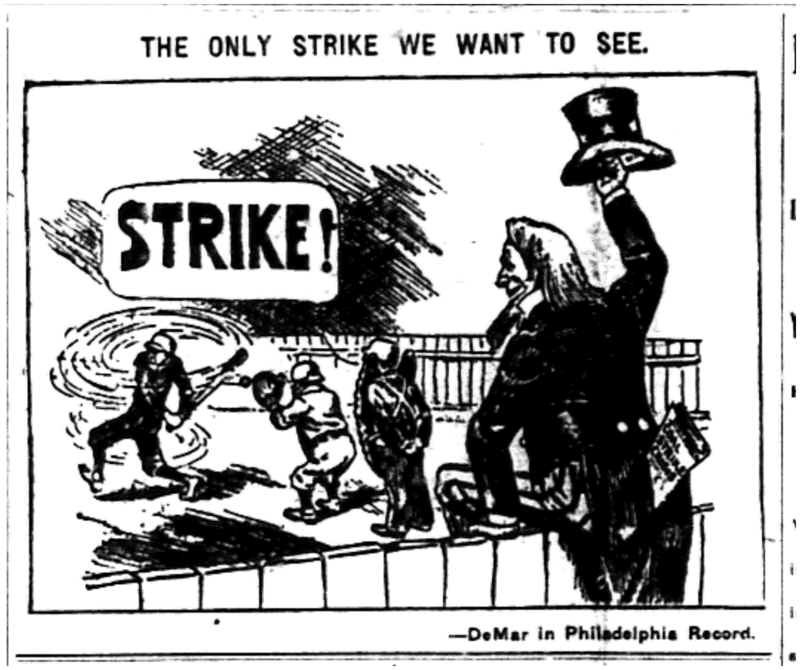 According to Uncle Sam, epitomized by the Thomas Nast, the only strike he wants to see are baseball strikes, not union strikes by workers seeking more rights from their employers. Sifting through the newspapers on microfilm, I noticed a common theme in the political cartoons. Class struggle, deceiving politicians, rivaling political parties, and the quest for the American dream. One hundred years later, these issues continue to exist in politics. It remains apparent in our political cartoons of today, and the political cartoons of the past. An interesting thought to dwell on. Never purchase an app with distracting features. Bells, buzzers, timers, and blinkers distract from the task at hand. This takes the child away from the learning and redirects their attention elsewhere. It may become difficult to regain focus on the app’s task. Take this for example. You are sitting at your desk focusing on work, when an air horn sounds through the office. You might jump or jerk your head up. You will certainly be wondering why there’s an air horn in your workplace, but the noise has distracted you. Now, it is difficult to regain your focus on your work, much like the bells, buzzers, timers, and blinkers on children’s apps. 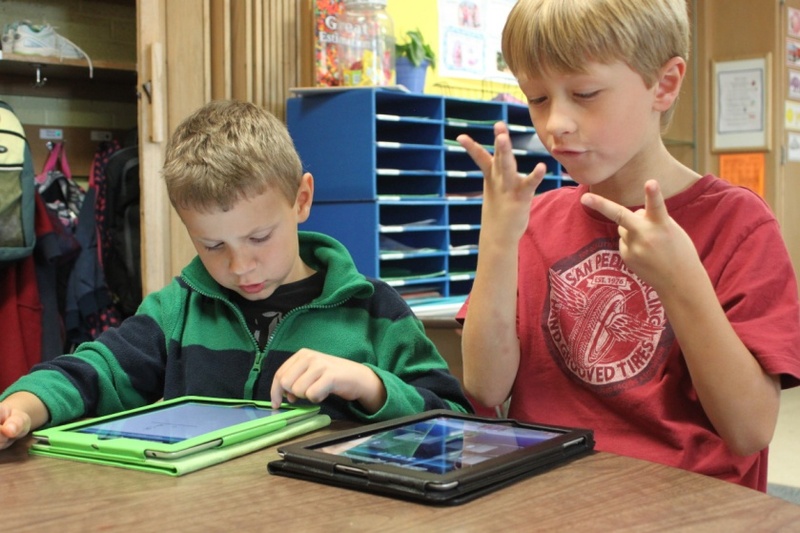 Apps should engage a child’s mind. 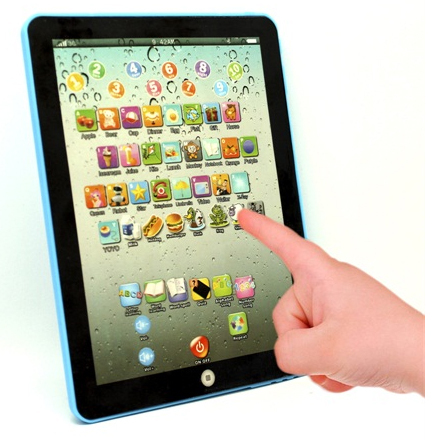 Games involving swiping, tapping, and other repetitive activities are unchallenging. Watching a video or a demonstration requires little involvement. 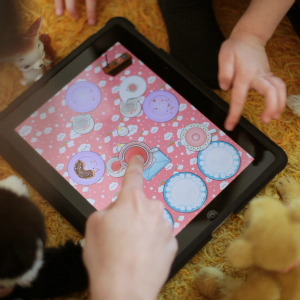 The right educational apps allow a child to process information, absorb the activity, and learn new skills. It is easiest to learn when solving a problem on your own rather than having the information provided to you. Learning 123 and the ABCs are necessary for the foundation of every child’s education. Plenty of apps harp on this necessity, but this information is pointless if not backed up with meaning. Too many apps teach through a repetitive method, which makes counting and the ABCs less likely to be retained in a child’s mind. Children must understand why this knowledge is important, such as for communication and mathematics. 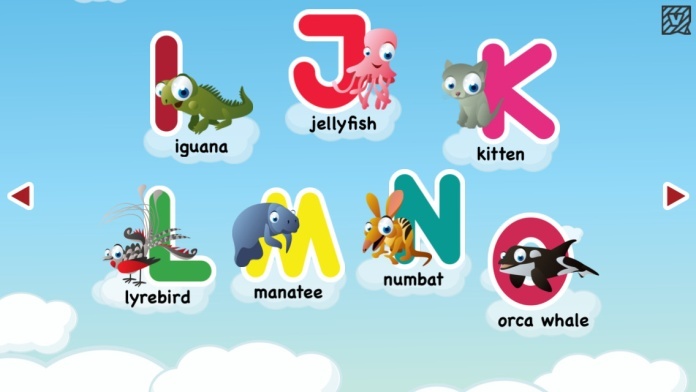 Letters have sounds, thus allowing for communication. Numbers are used for math. Shapes are found throughout our world. Applying knowledge to everyday situations provides a better retention of information. For example, seeing a circle is shaped like a cookie is more meaningful than a drawing of a circle. If an app makes the connection between the information and its everyday use, it is an exceptional learning tool. Using these pointers, discovering the right educational apps for your child will be a little simpler. Choose apps with less distraction, the ability to engage your child’s mind, and show why the information is meaningful. Avoid repetition and mindless activities. Now, are you ready to search through those 80,000 apps in the Apple App Store or the 300, 000 child-related apps in the Google Play Store? New Jersey: The Maker State! 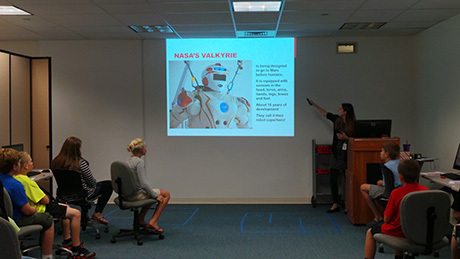 On Saturday, March 21st, the Technology Learning Center and the Cape May County Library were official hosts of the first annual New Jersey Makers' Day. The purpose of NJ Makers' Day was to celebrate and promote maker culture, something that the TLC strives to do each and every day as we continue to expand our Makerstation at the library. 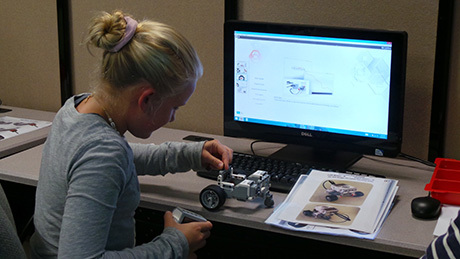 We, along with several other locations throughout the state provided STEM, STEAM, and DIY based programs and workshops to our patrons at no cost! We had many patrons of all ages join us throughout the day to participate in the many workshops, demonstrations, and activities we had to offer! Our friend and regular patron Bob stayed the whole day with his 3D printed robot hand project from inMoov! Patrons of all ages enjoyed mess-free finger painting on our art computer! The WASP (Wireless Aircraft Sports Pilots) Club of Cape May County came by with some models that they build and fly, and let patrons fly some aircrafts themselves! Michelle was ready to help patrons sew a square (or two) on our community quilt! During two of the workshops, patrons were able to make their own LED light boxes and watch a homemade light bulb light up! 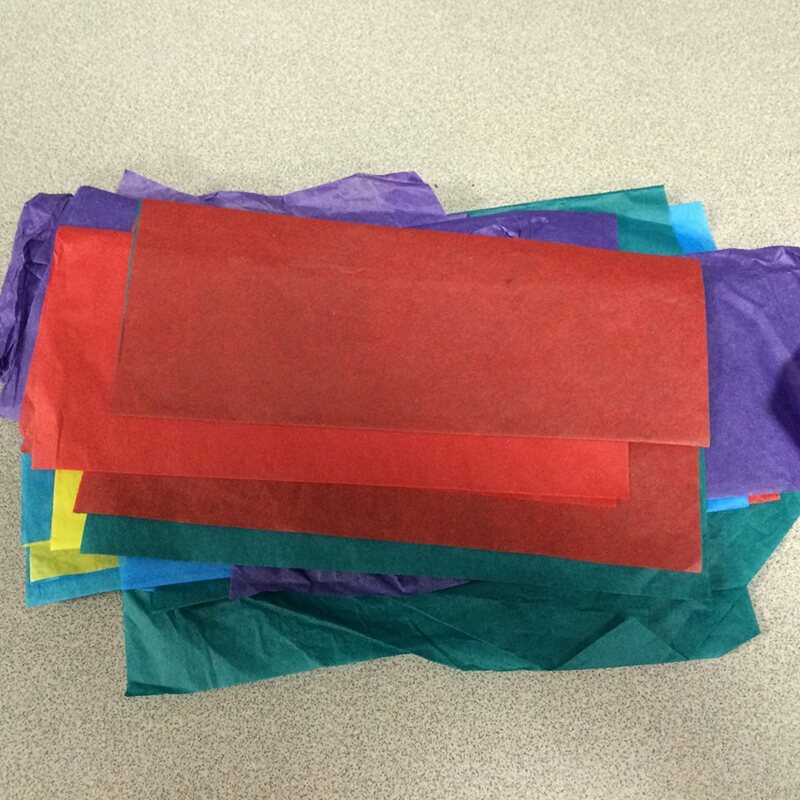 During another workshop, some of our youngest patrons made their own LED bookmarks to take home! The Retro Pi was Rockin' old school Sonic the Hedgehog, and the Kerbal Space Program was ready for liftoff! And Makey Makey Game Controllers too! All the while, ROBOTS wandered the premises! In addition to the slew of activities that we had going on in the TLC, we made sure that the other 7 branches of the library didn't feel left out! 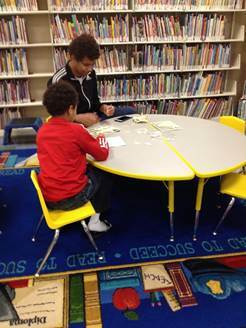 Vicki, the children's librarian at the Lower Library, hosted a program where patrons could build their own balancing toy! Cape May City, Sea Isle City, Stone Harbor, Upper, Wildwood Crest, and Woodbine set aside space in their branches for patrons to build and solve their own 3D puzzles! Patrons in Cape May City building their 3D puzzles! With a total of just over 60 people in attendance, the first annual Makers' Day proved to be a fantastic success! Kids, teens, and adults alike all had a great time, and we already can't wait to do it again next year! 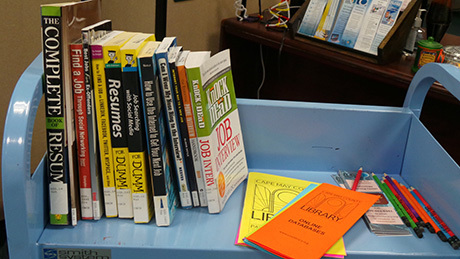 TTW 2015: Libraries are for Making! 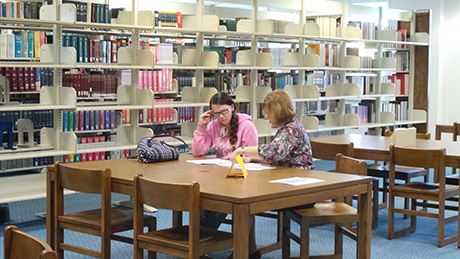 Last week was Teen Tech Week 2015 with a theme of "Libraries are for Making." Since we are trying to expand and promote our Maker Station each and every day, this was perfect for us! Throughout the week we hosted several different events that gave teens the opportunity to see what our Maker Station has to offer (in addition to just the 3D Printer!) 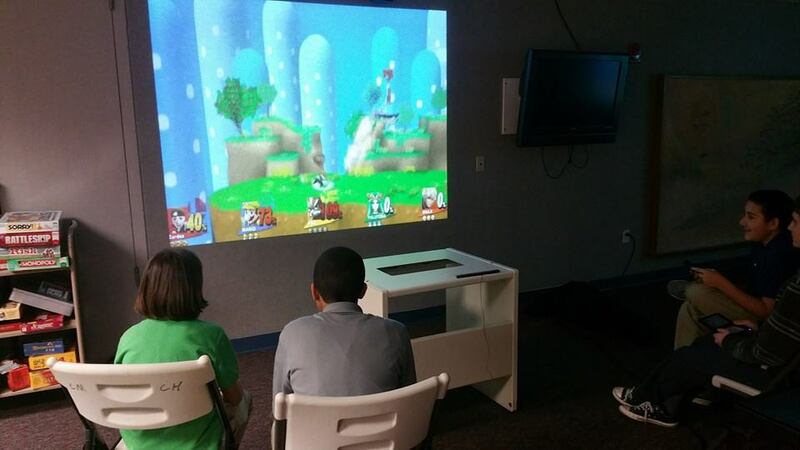 We had many teens join in on the fun, and the week was an overall great success! To kick off Teen Tech Week, we opened our doors and set up several different Maker Station activities for our teen patrons to participate in! Our Robots were fueled up and ready for action! Little Bits Kits were out and awaiting exploration! And they ended up being some of the biggest hits of the evening! The Makey Makey was going bananas, and the Retro Pi was ready to fulfill all of the teens' vintage video gaming needs! We enjoyed this open house as much as the teens did...especially the Retro Pi! It was fun to be able to play with all of the fun tech gadgets and show off some of the coolest things our Makerstation has to offer! At this fun DIY workshop, teens were invited to come in and create their own light box using LED bulbs, cardboard, copper tape, tissue paper, and a coin cell battery. This was a fun, hands on way for the teens to learn about simple circuitry while letting their creative juices flow! Kara and Laura had a great time teaching this workshop, and the teens had fun creating their light boxes! 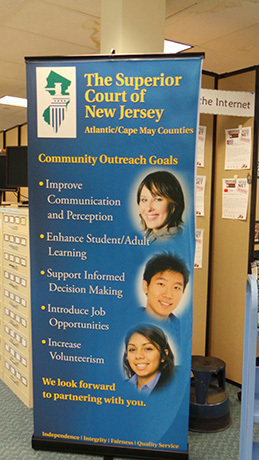 We took Teen Tech Week on the road to the Sea Isle City Library! 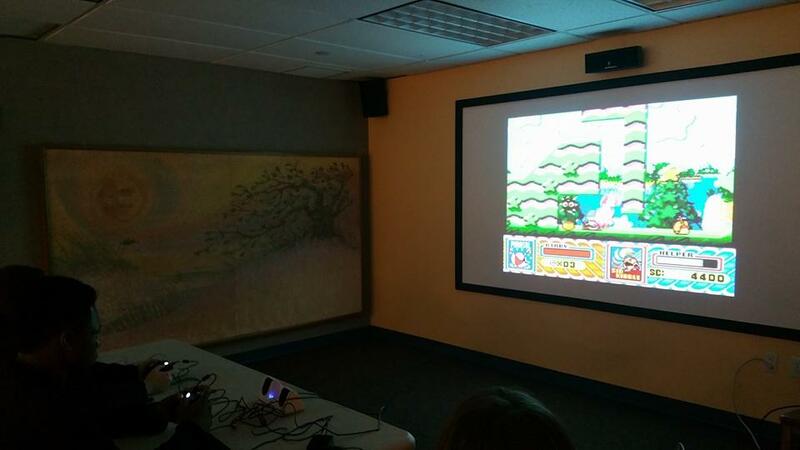 While there, the teens were able to play video games using the Retro Pi and other gaming consoles! 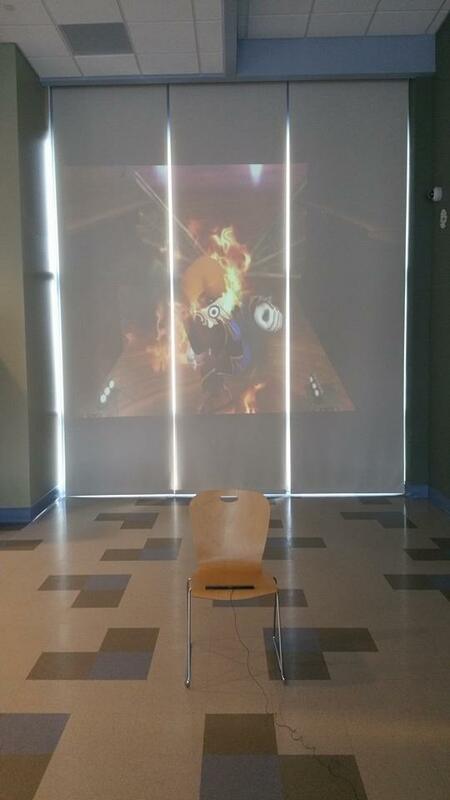 Another excuse to play video games at work!? Who wouldn't pass that up? This was another fun event for everyone! March 12th: Teen Game Night TAKEOVER! Not your average teen game night! 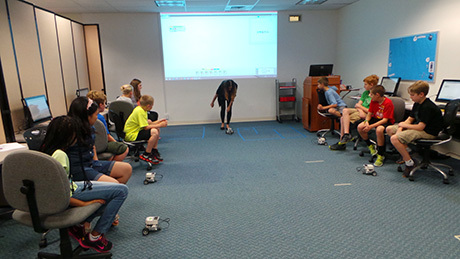 The TLC took their retro pi, gaming consoles, robots, and other fun tech gadgets to teen game night and added a fun twist! The takeover proved to be very popular among the teens who were there! Our Robots, Tee and Elce, wreaking havoc at teen game night! 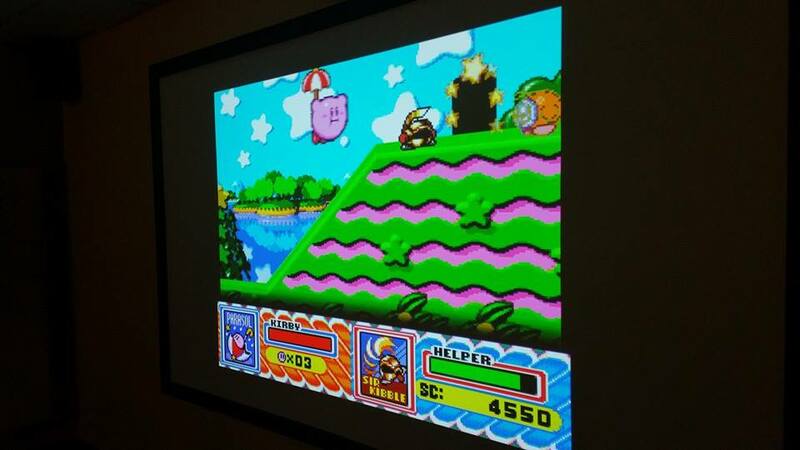 Kirby Super Star and Chip and Dale Rescue Rangers were popular choices for our retro pi! 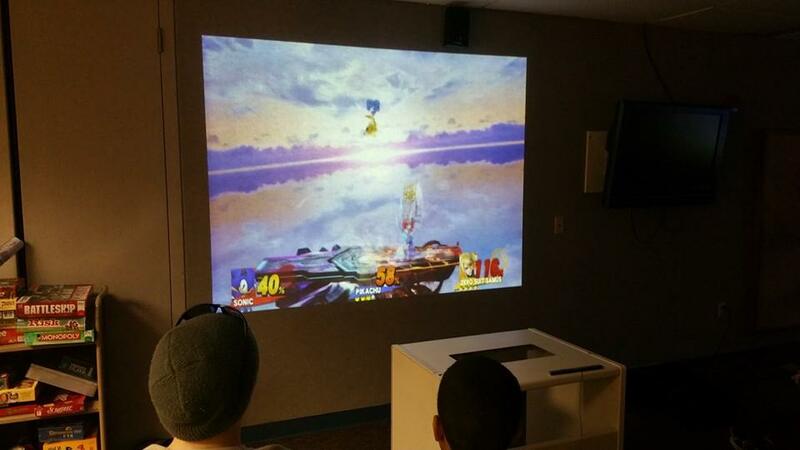 The biggest hit of the night was the new Super Smash Brothers on Wii U! 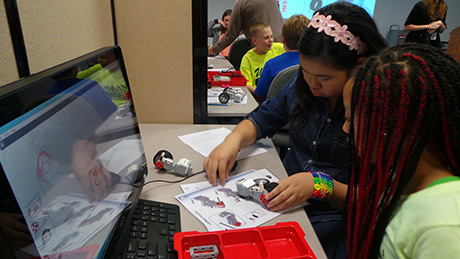 This year's Teen Tech Week was a blast, and we can't wait to do it again next year! March: A Month of MAKE-ing! Hello Friends of the TLC, and welcome to the MAKE filled month of March! Our team has been working hard for the past several months to make this a month filled with fun activities for our patrons of all ages! We will be hosting a wide variety of activities to promote Teen Tech Week and to celebrate being an OFFICIAL location for the first annual New Jersey Makers' Day! We couldn't be more excited, and we hope that you will share this excitement with us! Check out some of the many special activities that we have planned for you! In honor of this years' theme, "Libraries are for Making," we have a week of fun tech related events planned especially for our teenage patrons! Check out the schedule below! We hope you will enjoy these events as much as we will! NJ Maker Day is all about celebrating and promoting maker culture! 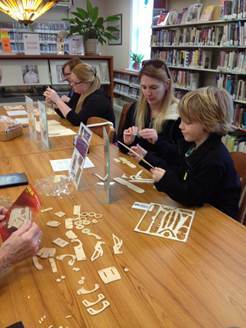 On Saturday, March 21st, the Technology Learning Center and the Cape May County Library are participating in this state wide maker event, offering events and activities for our patrons at all 8 of our library branches! We will be offering STEAM and DIY-based workshops to the members of our community at NO cost. These events will be suitable for all ages and are designed for anyone interested in learning, creating, building, and designing. Local small businesses, entrepreneurs, and young professionals are invited to network, and children, teens and families are encouraged to explore new tools, discover new ideas, and play within a hands-on environment. Here is a preview of some of the events and demonstrations that we will be hosting! Be sure to stop in and see what other surprises may be in store! Wasp Club of Cape May County- WASP (Wireless Aircraft Sports Pilots) will be here to show us some of the aircrafts that they build and fly! 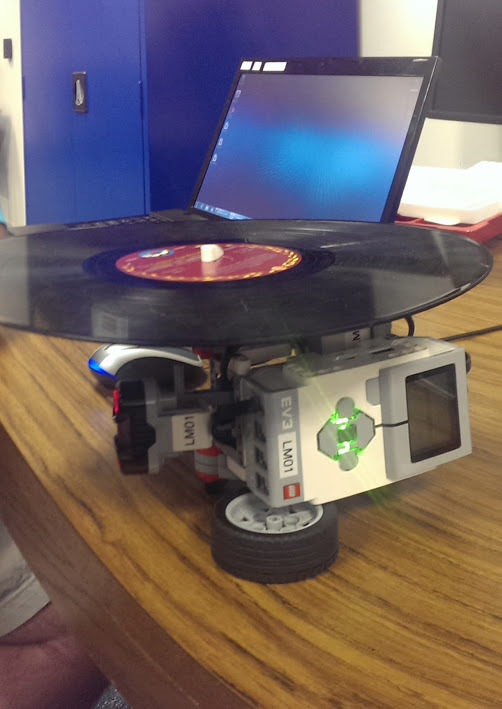 Fuzzy Logic- Fuzzy Logic, a robotics- oriented 4-H Club, will be bringing their own Dot & Dash AND Finch robots and will be here to tell you what they're all about! - LED Light Boxes- A simple circuit craft project using LEDs, copper tape, and cardboard. -Make your own Light Bulb- Use iron wire and a pint glass jar to create your very own light bulb! Wood Cut 3D models- Make one in the library and take it home with you! We encourage each and every one of our patrons to come and MAKE with us! We look forward to seeing you at one or more of these exciting events! With all the new high tech gadgets coming out, it shouldn't come as too much of a surprise to see such items on many wish lists this holiday season. Whether you are looking to purchase a fun gift for the techie in your life or want some more ideas for your own list, we are here to help! 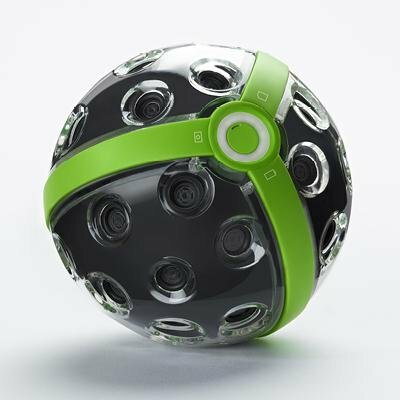 Here is a list of tech toys that are sure to get any tech geek excited for the holidays! 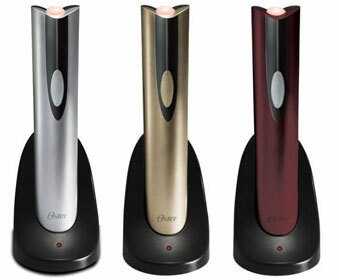 Okay...so this isn't exactly a "tech toy," but who wouldn't want a new wine opener for Christmas?! We hope this gave you some fun new ideas for your favorite techies (or your inner techie) this holiday season! Tech the Halls, and Happy Holidays! Online Shopping is one of the fastest, easiest, and most convienent ways to get your holiday shopping done without having to battle the crowds in the shopping malls. We have told you some of the best places to go to get your shopping done, now we are going to tell you how you can do so in the safest manner possible. These are not only tips that will help you with your holiday shopping, but for any online shopping that you do at any time of the year. - Be sure to visit an online retailer that you trust and continue to use trusted retail sites to fufill your shopping needs. 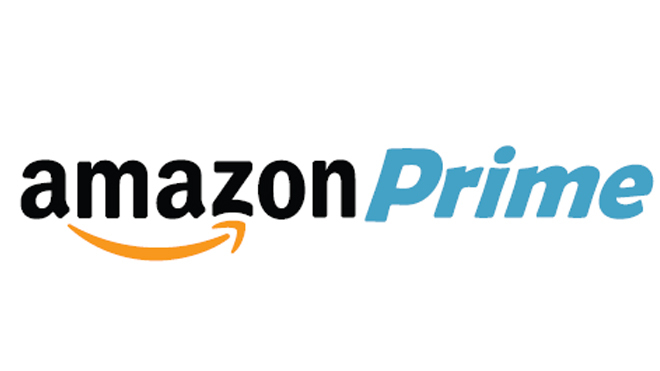 Amazon is always a great place to start because they sell a vast amount of items that could suit all ages and interests. If you like a certain store, such as Target or Walmart, you can visit their websites to purchase your items, as most major retail chains have their own websites where consumers can shop. - Always look for retail sites with .com at the end- If the end uses a different domain, it may be a trap to steal your personal information. Also watch for misspellings. If something looks wierd, it probably is. - Always do your comparison shopping and compare the deals that are being offered by different online retailers just like you would if you went to the store. Use the same shopping methods that you always have. - Read site reviews and seller ratings. Make sure that the site is viewed positively by other consumers and that outside sellers have positive reputations. Online shopping can be risky because you are unable to physically see or handle an item prior to purchasing it. Do your best to make sure the item you are getting is coming from a reliable source and will be worth the money that you are paying for it. - If a site is unsecure- meaning you don't see a lock or https at the beginning of the site address, don't provide them with your credit card information. - NEVER provide ANYONE with your credit card information via E-mail. This is how a lot of cyber criminals gain access to your information because they disguise themselves as representatives from legitimate companies. An e-mail truly coming from an online retailer will ask you to log in to your secure account before you provide them with any information. You don't always have to give your actual credit card information to an online retailer, there are other cards or methods of payment that you can use that are safer and may ease your mind. -Only provide a site with a minimum amount of personal information. An online retailer does not need to know things such as your social securtiy number or birthday to process your credit or bank card for a purchase. Make it a rule that if a store doesn't need it, neither does an online store. - Also, don't give this information when setting up an account with an online retailer, and don't provide it in an email. There is never a time when this informtation will be needed by them! - View your electronic statements regularly for any cards you use and check for suspicious charges. If you see anything you don't recognize, take appropriate action immediately. If a card was hacked, the company or your bank will likely be able to issue you a new one and help you resolve the charges. If an honest mistake was made by a trusted retailer (which does happen..I can say first hand), watch to make sure that they credit your money in a timely manner. - Keep organized records. Never throw away any receipts, transaction records, confirmation e-mails, or anything that you can use as a proof of purchase. This will help you spot suspicious charges faster and will help you keep better track of the money that you actually spent, which is also important. -Make sure you keep up-to-date anti-virus software on your computer at all times, especially if you do a lot of online shopping. This will help protect your computer from viruses that could both harm the system and make it more vulnerable to cyber criminals. - Be careful when shopping or sending personal information on a smartphone or portable device. Even though some are beginning to offer virus protection software, these devices are still more suseptible to malicious software that can steal your information. -Regardless of what kind of device you are using, make sure that it is password protected at the very least. If it isn't, that leaves the door open for anyone to access your online accounts, especially if you have it set up to remember your login information. This is one of the easiest ways for cyber criminals to get a hold of your information. The most important aspect of any online account or profile that you have is the password that is used to secure it. Using complicated passwords may seem like a real pain, but they are the most secure and the best kind to use. Anyone who comes in to the TLC on a regular basis can tell you that we constantly stress the importance of secure passwords to our patrons because we want to keep you as safe as possible. Here are a few of the tips that we offer. -Use strong passwords, especially on sites that have access to any of your personal information. A truly strong password is at least 8-10 characters long and has a unique combination of capital and lowercase letters, numbers, and symbols. - Complicated passwords don't necessarily have to be difficult to remember. You can create a password that is meaningful to you but would be a challenge for someone to steal. The picture below shows you some fun ways to do this. - Never use the exact same password for every account that you have. If a cyber criminal is able to get a hold of this, they now have access to all of your accounts and information. 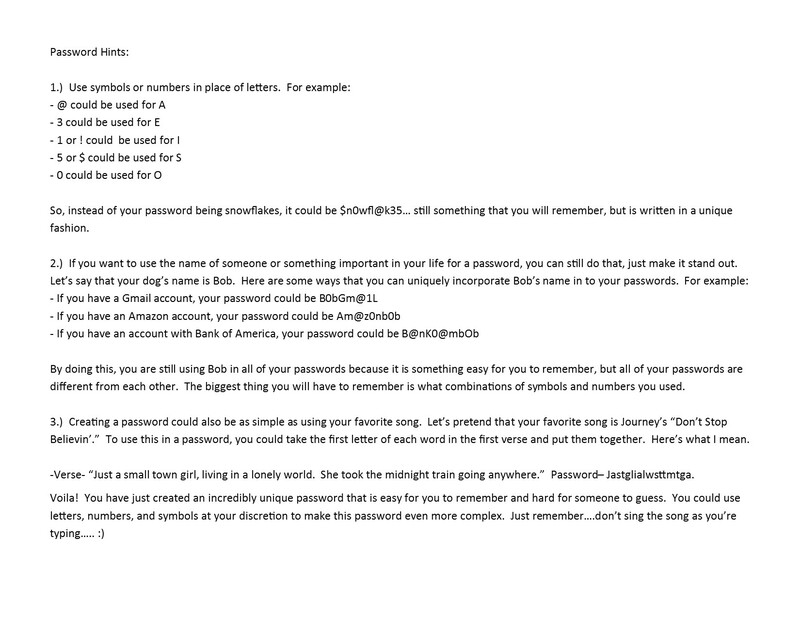 - Try not to use obvious things for passwords like your initials or birthday, unless you want to follow the steps in the picture and do so in a unique fashion. These types of passwords are the first things that hackers are going to try. - Be sure to change your passwords every 6 months or so, and change them IMMEDIATELY if you think your account may have been hacked. - NEVER share your passwords, but make sure that at least one other person knows how to find your passwords in case they ever need to access your accounts for you if you are unable to do so. With each new update available for an internet browser comes an increase in security. Older browsers may not work properly and are not as secure, making it easier for a hacker to access your information. Here is how you can update each internet browser and be sure that you are always running the most up-to-date version. -Internet Explorer will update automatically when windows updates are being performed. As long as you are regularly keeping up with your windows updates, you should never have to worry about using an outdated version of this web browser. -To check for updates on Google Chrome, you go to the menu in the top right hand corner of the screen (it looks like 3 stacked lines) and select "About Google Chrome" from the list. Clicking on that will prompt an automatic check for updates. If any are available, a clickable icon will appear that will begin the update process. - To check for updates on Mozilla Firefox, go to the menu in the top right hand corner of the screen (it also looks like 3 stacked lines) and click on the question mark icon at the bottom, which will bring up the help menu. From here, click on "About Firefox." This will prompt an automatic check for updates. If any are available, a clickable icon will appear that will begin the process. If it Looks too Good to be True... It Probably is! There are lots of great deals and coupons out there that are available for consumers to take advantage of...so many, in fact, that a lot of hackers and cyber criminals use these deals as a disguise for online scams. There are several "red flags" to watch out for when trying to decide if you are looking at a legitimate deal or not. - Pop-ups! These can be very dangerous! If something pops up on your screen while you are searching a web site and tells you that an item is 90% off with the attached coupon, or tells you that you have a won a prize that needs to be claimed, these are almost certainly scams that are looking to steal your personal information. NEVER click on a pop-up like this! Trust me... you didn't win $1000 dollars and you can't get an iPad for $5.00...at least not this way. -E-mails/Social Media. Don't believe everything you see on the internet!!!! A lot of scams are sent to people through e-mail and social media and more often than not, the sender doesn't even know it! Sometimes, just clicking on these scams is enough to give your computer a virus or give a hacker access to your computer! It can be hard to tell sometimes, but if something looks suspicious, err on the side of caution and delete it! - If you have begun a transaction on a site and suddenly feel uncomfortable, stop what you're doing and exit the page! Even if it looks like you're missing out on something great, you probably aren't, and the risk is not worth it! - If a site looks outdated and is riddled with pop-ups, exit immediately! It is not even worth your time to explore these sites in depth because they could be dangerous to your computer! We truly hope that you found these tips to be helpful and that they will guide you to having many safe and productive online shopping trips! Enjoy, and Happy Holidays! Want to get your Christmas shopping done from the comfort of your own home? We are here to help! Whether you are a rookie online shopper or have been done all of your shopping online for years, this article is for you! We have offered some tips for safe shopping, tips to help you get the most out of your shopping, and a list of some of our favorite places online to go shopping! Enjoy! First things first, let's start with safety. Here are some tips you can follow that will help keep you and your personal information safe while you are shopping online. These are not only good tools for holiday shopping, but for any online shopping you plan to do at any time of the year. HTTPS: When looking for safe places to shop online, it is crucial that you look for the S in the web address. This means that a site is secure and is working to protect any personal information that you provided, including credit card numbers. NEVER give any kind of personal information that could be compromised to a site that is unsecure or a site that you don't trust. If possible, use credit cards over debit cards to make online purchases, or use a debit card that is attached to a secondary account. If you are not comfortable with either of these and want to be eve safer, there are several options that you can explore. -PayPal: You do have to give PayPal your credit card information when you first open your account, but they remain the only ones with access to your information after that. PayPal takes the money out of your account for you whenever you utilize their service to make an online purchase, and use it to pay for your items. This is safer than providing multiple different online retailers with your credit card information. -Pre-paid or re-fillable credit cards: You can get these through your personal bank or other places, and they work in a very similar fashion to gift cards. You can put any amount of money on these cards and then use them for online shopping in place of an actual credit card. Just remember to be mindful of how much money you put on the card when making your purchases so you don't exceed the value you have given it! -Visa Gift Cards: These also work just like a credit card, and can be purchased at any retail outlet where gift cards are sold. The only thing that you need to do in order to be able to use this as a credit card for online purchases is to register it. 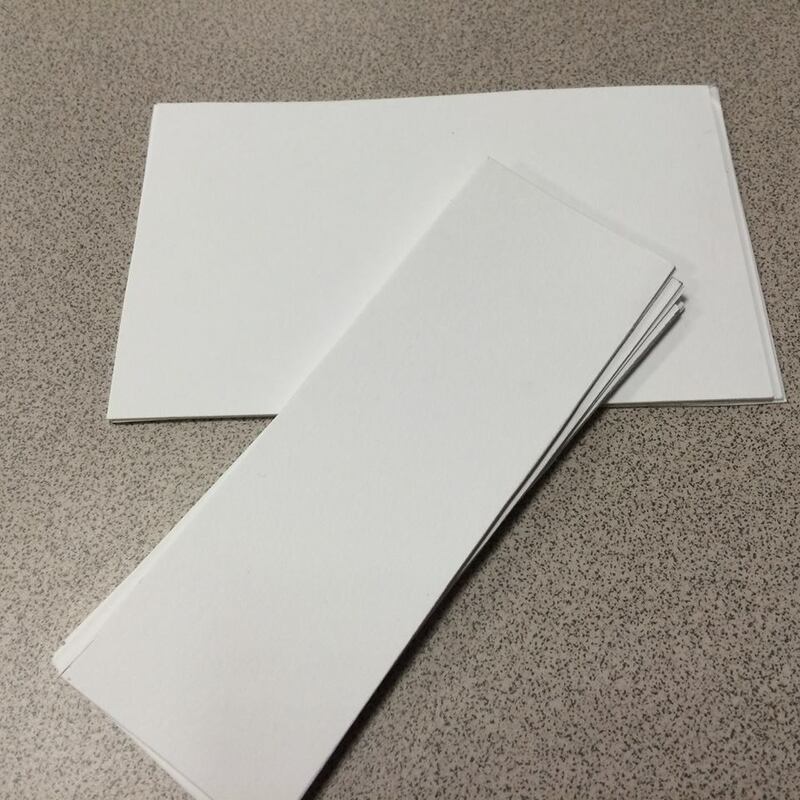 The purpose of doing this is so there is a name and address attached to the card that can be used as the billing/shipping address for your order. -Retailer Gift Cards: If you know where you want to go online to purchase your items, you can purchase gift cards specific to that retailer(s) and use those in place of your credit card when you order your items. You put the money down ahead of time when you do this, but you can assure your safety by not having to give any online retailers your credit card information. NEVER provide anyone with an account number or other personal information via e-mail. Legitimate sites where you were asked to provide this info will ask you to log in to your account to verify information, they will not ask for it in an e-mail. Now that you know how to protect your safety, here are some tips and tricks that you can use to make your online shopping experience more efficient and enjoyable. Follow your favorite online retail sites on social media sites such as Facebook and Twitter to watch for deals and exclusive offers that they may be offering at any given time. Do a quick google search for an item for price checks to make sure you are getting the best deal before you buy. Read consumer reviews before you decide to buy an item to make sure it is worth the money that you will be spending. 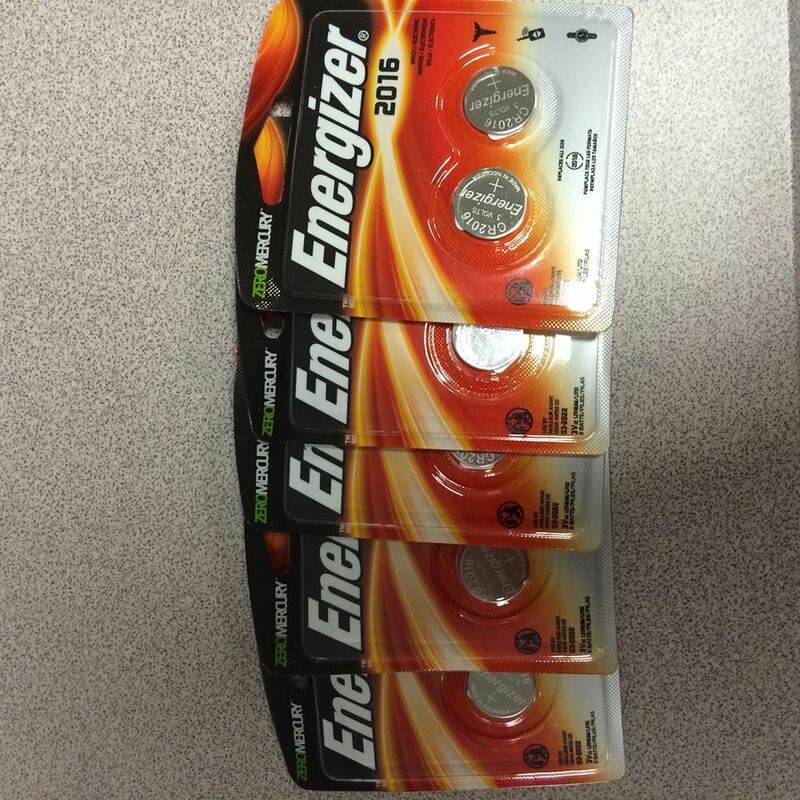 Look for any extras or free gifts that may come with an item to get the most out of your money. Bookmark your favorite sites for quick and easy access. Make wish lists and shopping lists on Pinterest that you can share with others and keep your gift ideas organized. And finally, now that you are working towards becoming an online shopping pro, here are some great sites for you to explore that will help you fufill the gifting needs of everyone on your shopping list! This is a fun site to explore for many different reasons. on ebay, you can find gifts that you can't find anywhere else. This includes gifts that are no longer sold in stores, vintage gifts, handmade gifts, and more. Using ebay really allows you to think outside the box while shopping for your gifts. Pinterest is a great and fun place to go shopping! On Pinterest, you can search for any item that interests you and see a numerous pins featuring that item. 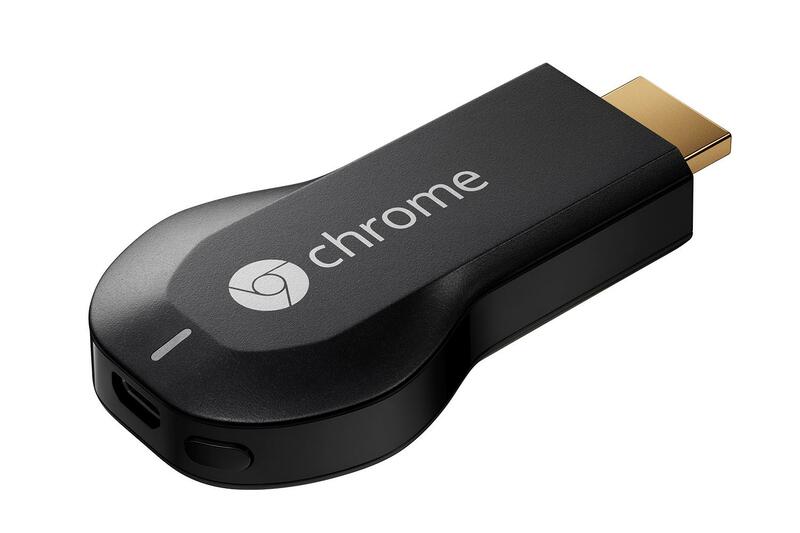 When you find one that you like you can simply click on the picture and get redirected to the site where you can purchase it. Pinterest also allows you to make wish lists and shopping lists to share with others. Etsy is a great place to go where you can purchase handmade and vintage gifts directly from the people who made them. You can also purchase art, art supplies, and other fun little gifts from this site. You can find more creative gift ideas when you explore this website. You can search gifts based on the occasion, recipient, catergory, type, and store where they could be found. There is also a search bar where you can do more specific gift searches. You can also create an account on the site where you can create gift registries, safe gift ideas, and receive reminder e-mails. 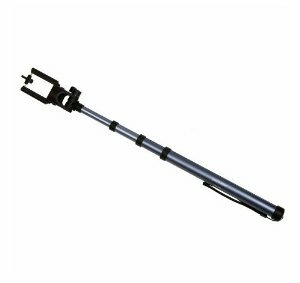 When you use Nextag, they do the comparison shopping for you and present you with the best deals that they were able to find. You can search for items on Nextag by catergory or you can do a general search to generate results more specific to what you are looking for. They also have a best sellers list, a link to their app, links to their social media sites, and an e-mail list that users can join; all of which help users stay better connected to their site! 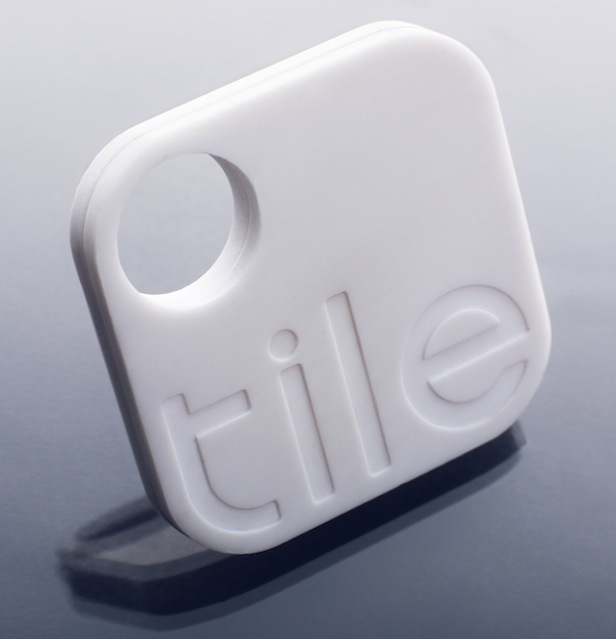 Looking for a gift for the geek in your life? This site is definitely the place to go! ThinkGeek has items from many different games, tv shows, movies and other things that geeks would enjoy! Geeks can search the newest, best selling and exclusive items, and can also exlpore the Holiday gift center. If you're not sure what geeky gift to buy, they have gift certificates available. This site has tons of stuff to explore and is sure to be able to fufill all your geeky gift giving needs! 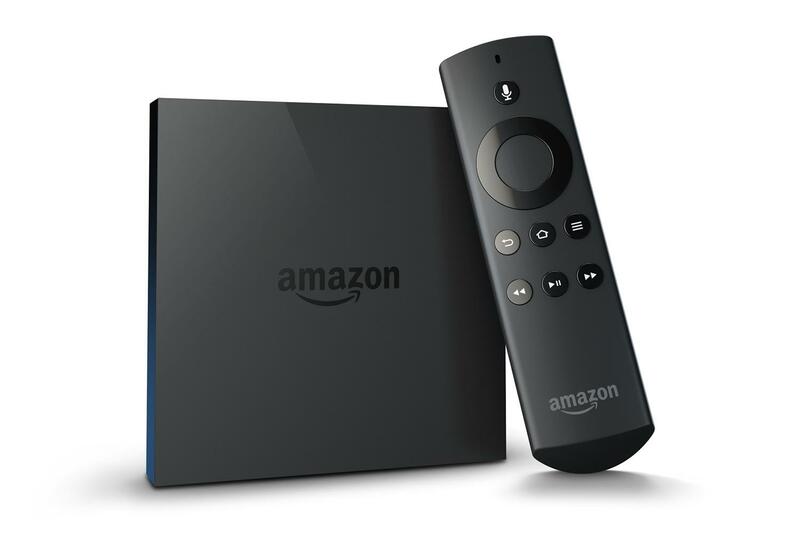 The "Today's Deals" section of the Amazon website shows you the best deals being offered on the site each day. It also shows you the featured deal of the day, bonus deal of the day, upcoming deals, and deals that you missed. 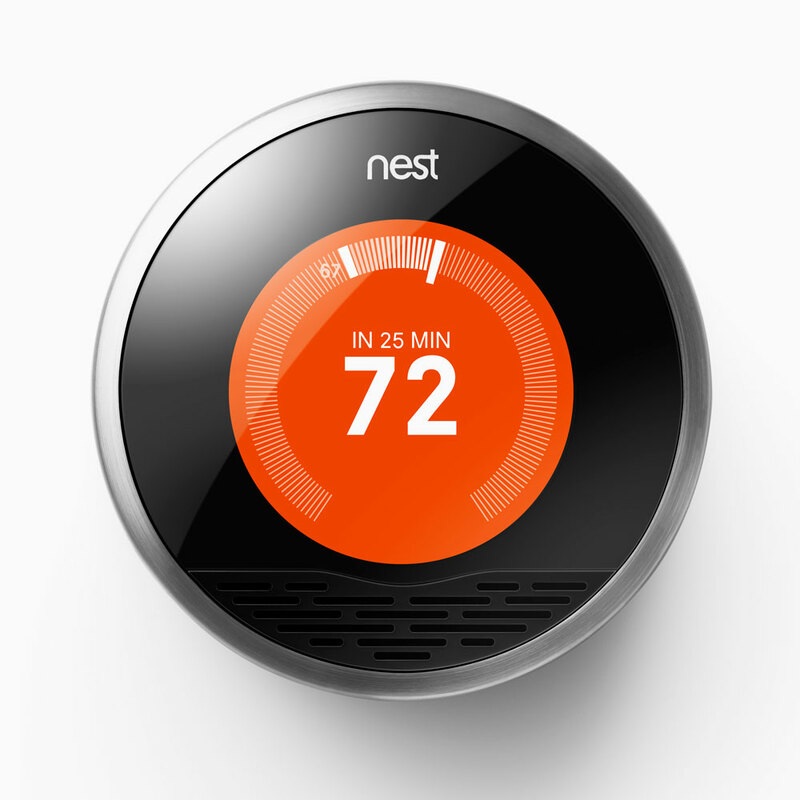 This is a great feature that helps make sure you are getting the most for your money! When you first enter this site, you will likely see a pop-up come up immediately asking you to join their e-mail list and offering you 10% off your next purchase if you do. You can also create an account on the site that allows you to make lists and create registries, and join "Club O" where you can earn rewards. Another feature that makes this site stand out is the fact that you can shop for more than just standard gifts. The Overstock site has links to world stock shops, farmer's markets, places to adopt pets, and places to shop for cars and insurance. 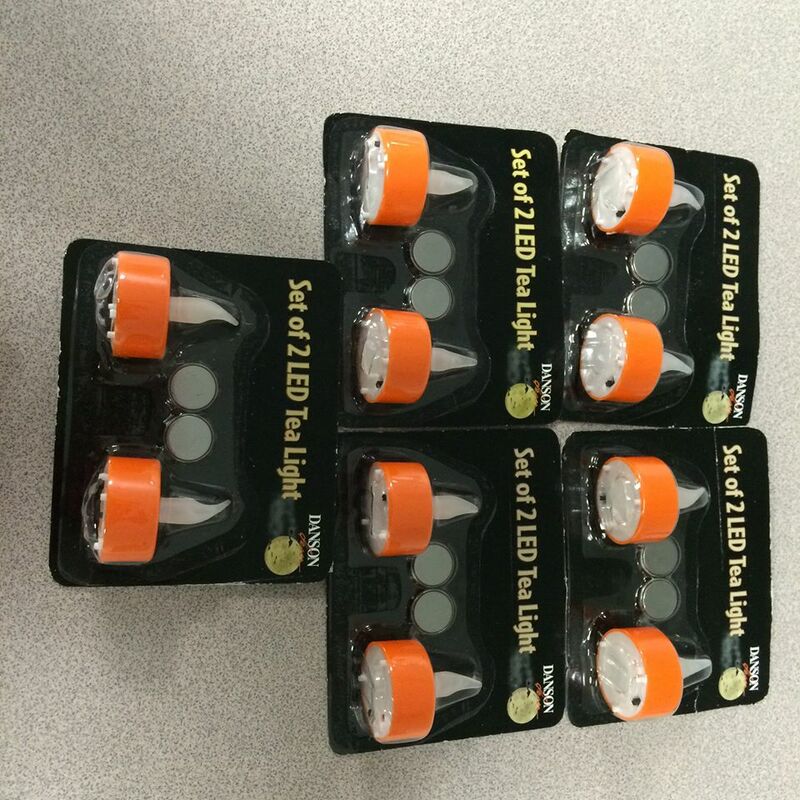 This site seems devoted to bringing consumers great deals on a wide variety of different items! Cyber Monday may have already come and gone this year, but you can visit this site for Cyber Monday style deals all year round. This site allows you to do comparison shopping to find out who has the best deals, and also has their own section of featured deals. You can also shop for items by category and gain access to the sites for all of the merchants that work with this site. No longer does Cyber Monday have to come around just once a year! Take some time to explore each of these sites and enhance your holiday shopping experience! We hope that this will help you find the perfect gift for everyone on your shopping list! Nothing says the holidays quite like filling your house with the smell of homemade goods. Whether you’re hosting the big dinner yourself or preparing a side dish or desert to share with your family and friends at their home, this is one of the simplest and most enjoyable pleasures of the holiday season. If this is your year to make a meal or you are looking for a new dish to share with the people that you love, the TLC can help! We have compiled a list of websites that you can use to find new recipes for everything from your holiday turkey and all the fixings for a vast quantity of deserts! These websites allow you to search for thousands of recipes, and many also give you the option to create free log-ins where you can access a recipe box to save your favorites. We hope these websites are useful to you and that they add to your holiday cooking fun! This is your standard recipe website. It contains lists of recipes and videos suitable for cooks with all levels of experience. Allrecipes also has two apps that users can download on their Apple or Android devices that allow them to access the sites extensive collection of recipes on the go! They are the Dinner Spinner app, which is free, and Dinner Spinner Pro, which you can purchase for $2.99. Ever seen this show on PBS? If not, now is your chance. This site, which is very reliable and trusted among its users, provides you with videos and ecipes that were featured on its public broadcast shows. It also has links to cooking magazines, featured cookware products, and other cooking websites for its users to explore. What could be better than gathering together with family and friends around the holidays and baking tasty Christmas cookies? This site is dedicated to providing its users with a variety of fun cookie recipes, as well as recipes for candy, fudge and other holiday treats. It’s visually appealing and easy to navigate for bakers of all ages! This site is similar to the others as it provides users with a vast amount of searchable recipes, but it stands out because it is also a place to for and purchase cookware, bakeware, utensils, cookbooks and other handy items that any chef would love to find in their kitchens. This site may not catch your eye as quickly as some of the others, but it is chock full of recipes that can satisfy just about any cooking desire that you may have. Another great feature on this site is the face that it provides nutritional information, cooking times, and other instructional guides useful for even the most novice of chefs. This site is a favorite within the library! 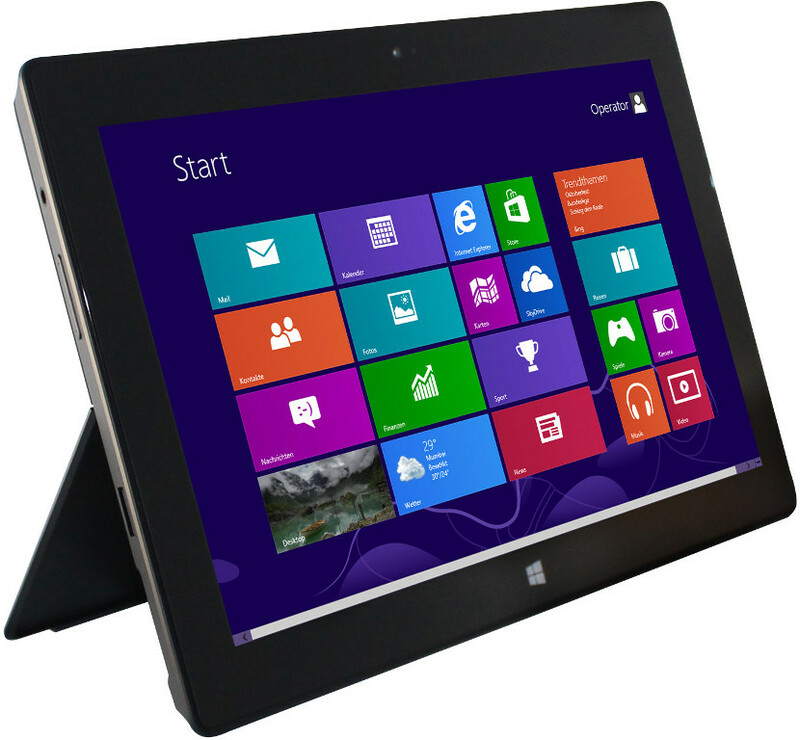 It is very easy to navigate and visually appealing to its users. The main site provides you with a vast amount of recipes and cooking ideas, and also contains links where you can check out the work of its recipe partners. Epicurious also has a beautiful app that is available for your portable Apple and Android devices. This site is quite a bit different from many others on the list. While it provides users with a wide variety of recipes, it also promotes its television shows, chefs, and featured restaurants. That aside, it is still a very useful source because it gives its users a lot of great ideas for their upcoming holiday meals. Out of all of the sites listed in this post, this one definitely holds the distinction of being the most elegant. It features gorgeous pictures of the dishes that it provides recipes for, and is almost guaranteed to make your mouth water while you are browsing. The only downside to this site is that it is not the easiest to navigate if you are trying to conduct a recipe search and it doesn’t have as great a selection of recipes as many of the others, but these have little effect on the overall experience that it provides. At first glance, this site resembles that of a news feed or magazine site. Rather than focusing on just providing its users with recipes and cooking tips, it features a variety of food related articles. Anyone looking for recipes will not be let down though, because those can be accessed by clicking on the “cook” tab at the top of the page. This site was recommended to us by one of our wonderful reference librarians, so we are still learning about it ourselves. It is a simple, raw blog site maintained by one young vegan woman that contains beautiful pictures and focuses on the dietary needs and preferences of vegetarians. 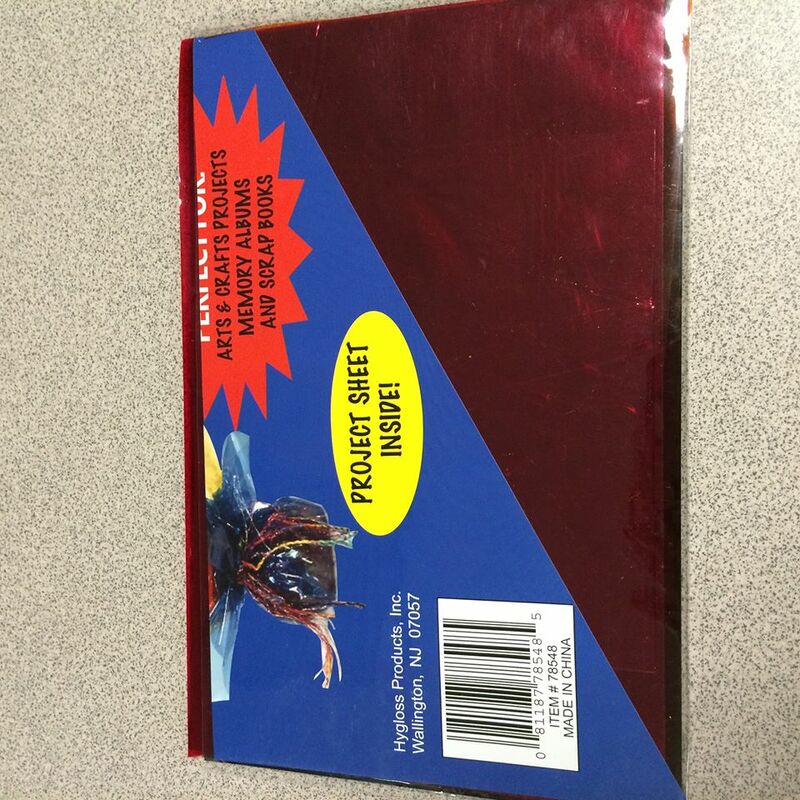 It contains information about the necessary ingredients and preparation techniques needed to prepare many of the featured recipes, and also has links to her cookbooks. Whether you are a vegan or just like to eat raw healthy foods, this is a good resource for you. This site is named for the creator, and is a lot of fun to explore because it is very unique! Her blog “The Shiska in the Kitchen” has a recipe index, kitchen memories, “off the menu” posts about things other than recipes, and information about kosher recipes and recipes for Jewish holidays. Her second blog “The History Kitchen” features different recipes along with information about why they exist! The downside? A pop-up consistently appears asking you to subscribe to the site. Subscribing may be worth it to you though, especially if you want greater access to her unique collection of recipes. This is another site that is dedicated to vegetarian recipes, but is a good source for anyone who is interested in learning to prepare healthier meals because it isn’t critical of people who aren’t vegetarians. It contains many great recipes, but preparing some of them exactly as listed may be challenging for us because some of the ingredients are exclusive to Australia, which is where the site originated. All of the sites that we have listed so far are excellent resources for anyone who is looking for new recipes to explore this holiday season, however, you can’t forget about the sites that are associated with the major food brands because those are also very useful! Besides, if it weren’t for many of the products that they provide, it would be very challenging to prepare most of the recipes that you will find on the other sites anyways. We won’t focus on all of them, because that would take way too long, but we will share a few of our favorites! One of the most trusted resources for recipes, Betty Crocker has become a household name, and a member of millions of families over the years. Betty Crocker’s site, like her vast collection of cookbooks, is a great resource for both your holiday meals and any other meals that you’ll prepare throughout the year! Much to the surprise of many young children, KRAFT is known for way more than just their boxed macaroni and cheese! This site, run by KRAFT foods, has links to wonderful seasonal and year round recipes and has information about their products that cooks may find useful when compiling their ingredients lists. Forgot the recipe to grandma’s green bean casserole that has been on your family table for the last 20 years? Not to worry, both the French’s and Campbell's Kitchen websites have got your back. They have easy recipes for green bean casserole readily available for you! Oh no, not the French onion dip recipe too!!! Lipton’s website has many quick and easy dip recipes available to you at your fingertips this holiday season. If you don’t want to visit a food specific website to fulfill your holiday recipe needs, you can think outside the box. Here are a few other sites for companies that you can visit that aren’t just dedicated to all things food! Who would have thought that you could find recipes on a public radio website? Well, you can! This site contains recipes that were featured in articles and interviews on the station! That’s right, even the library website has a collection of recipes available for you to explore! These are recipes were featured in our vastly popular cooking demonstrations and programs that we have held over the years! The “Thanksgiving in two hours” listing is especially perfect for this time of year! You also have the option to do general recipe searches on some of the biggest internet search engines. This will help you gain access to many different resources and could lead you to finding that one recipe that you were looking for but didn’t know existed! Bing is a great search engine to use to search for many different recipes. You can do a general search for recipes, or can do a more specific search for recipes based on the food that you are looking to prepare. Once you decide what you want to search for, you can narrow your search based on when the recipes were posted, allowing you to conduct a more specific search. This is the best place to go for anyone who have a Microsoft Account because you can earn “Bing rewards” points for every recipe you search and redeem them for gift cards and other prizes as your collection builds. Google is another great search engine to use for your holiday recipe searches, especially if you are a Google Chrome user by default. Type in the food that you need a recipe for into the search bar and click on the search tools option underneath it. This will allow you to do a more specific recipe search based on the ingredients you plan to use, dietary needs, and the time that you have to prepare the dish. This will also allow you to search recipes based on the date when they were posted, and allow you to sort pages based on whether or not you have visited them in the past. There is really no better place to go in your search for holiday recipes and ideas than Pinterest! This site recently changed their layout, and made your searching experience even easier and more fun! All you need to do is set your search requirements and they provide the links! Sounds easy... and it is, because others have already done the hardest work for you! Pinterest users can also return the favor and share their favorite recipes to help the community grow even more! YouTube is a great source for recipe related videos! Their extensive collection contains everything from classic cooking programs (such as Julia Childs), to YouTube specific programs, such as Nerdy Nummies and My Drunk Kitchen, to name a couple of our favorites! If you don’t feel like searching for recipe videos yourself because you are not sure where to go, Tasting Table has an article entitled “Best of YouTube” where they have compiled a list of recipe sites for you! That article can be found by clicking here! Boy, that sure was a lot of information! If you have stuck it out with me until the end, thank you! I hope that the sites that have been provided will be worth it, and will help you add some fun new flavors to your holiday table this year! 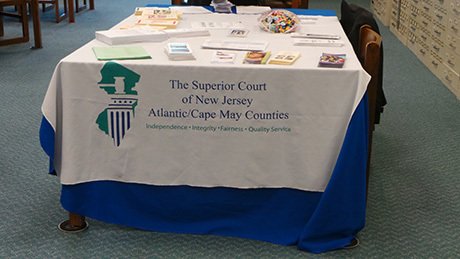 On October 2nd, the Cape May County Library hosted a Job Hunting and Judiciary Services program for all partons free of charge. The Library was lucky enough to have representatives from the Civil Division to assist with Landlord Tenant Matters, the Probation Division to assist in Child Support Enforcement, the Criminal and Municipal Divisions to assist with Fine Restitution, the Human Resources Division to assist in Career Search Assistance, and a Librarian to assist in Resume Development. 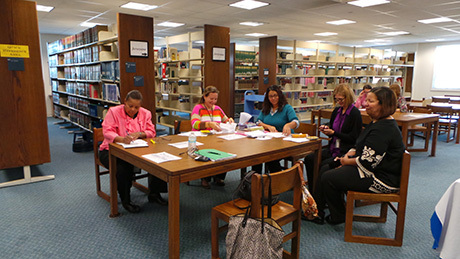 Cape May County Library is hosting this program again with the same participants on Monday, October 6th from 1:30-3:30PM at the Main Branch. Please stop by the TLC during that time if you have any questions. For more information, please call 609.463.3652. Below are some photos from today's program! If you were unable to attend today, we encourage you to attend Monday's program! 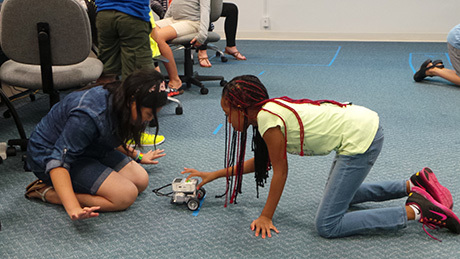 Welcoming young minds to the world of Robotics! 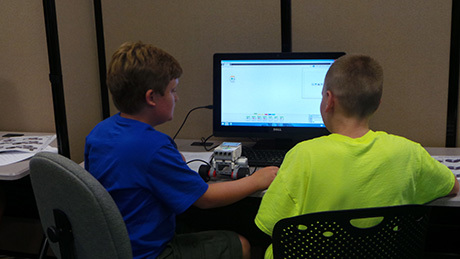 The Technology Learning Center recently held their FIRST ever LEGO Robotics class, and it was a major hit! 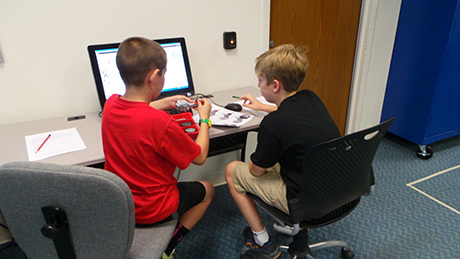 The participants, who ranged in age from 10-14, worked in pairs to create their LEGO Mindstorm Robots. 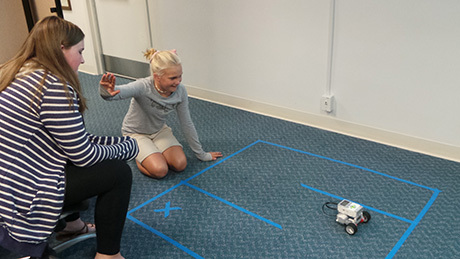 During the class, they learned how to construct the robots, program the robots using special computer software, and complete simple tasks and challenges with their robots. 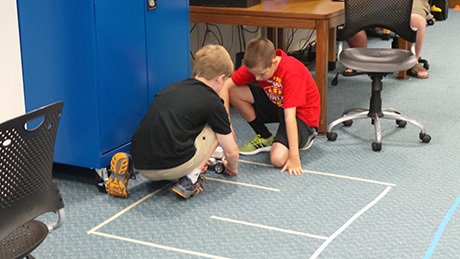 In order to do this correctly, the kids had to follow precise directions to build their robots, and had to do several different calculations and measurements to assure that they were programming them correctly. The final task for each group was to have their robot complete a maze. Using the skills they learned throughout the class, their job was to measure the maze, and program the robots to move according to their findings. Though only one group was able to complete the maze, each one made progress in some way. This was not an easy task, but all of the groups demonstrated high levels of knowledge and maturity! Most importantly, they all did their best and had fun doing it! 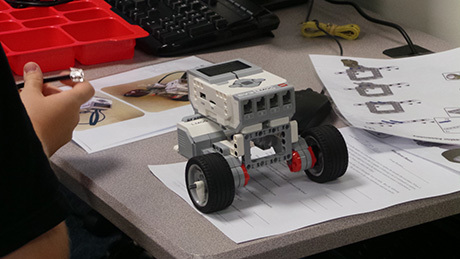 This was a blast for both us and the kids, and we hope to be able to offer more LEGO Robotics programs in the future! Facebook Messenger App: Not as Scary as you May Think! Many of you have heard the hype surrounding the new Facebook Messenger app and the many permissions that asks for in order to use it. While this may seem scary at first, it isn’t really too different than other apps of a similar nature, including the original Facebook app. All of those apps need to have access to certain items in order to work correctly, and all of these apps ask for similar information. Even if you don’t have the messenger app, it is highly likely that you are using one or multiple apps that already have access to the information that this one is asking for. In this post, it is not my intent to encourage you to use the app. It is also not my intent to make you scared of it. The purpose is to inform you, and let you know that the app is not as “evil” as you may think. Whether you choose to use it or not is up to you. Why are we even being asked to download this app in the first place to use messaging? Facebook itself answered this question saying that they are trying to provide users with a fun and fast service that they can use when they are trying to reach people. They said that people usually respond about 20% faster when they use the messenger app. Let me start by saying that some of the permissions that the app is asking for are ones that help make all features of the app work correctly. One example of this is the Facebook Messenger app asking to have access your microphone. The app is not doing this for the purpose of recording your phone conversations and spying on you. 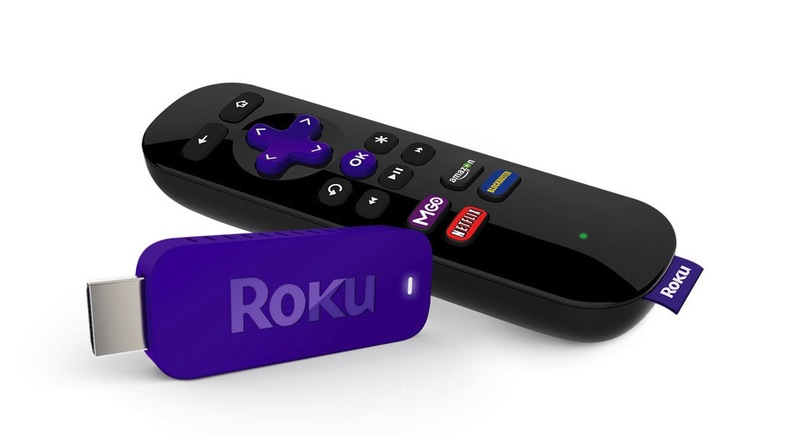 It has to have access to your microphone so you can use the app to voice call a friend, or to send clips that contain audio. Seriously…sending an audio message that is unable to produce sound is like trying to listen to music with no speakers. The microphone is a necessity if you want to use this feature. Another example of this is the Facebook Messenger app asking to have access to your camera and photos. The app is not going to share your pictures without you knowing and post them to every public domain. It has to have access to your photos in order for you to be able to attach and share them in messages. You can’t send a photo to a friend if there is no photo available to share. Allowing the app to have access to your photos is another necessity if you plan to use the app to send photos to your friends. One aspect of the app that might make people more uncomfortable than others is the app asking to have access to your contacts and their phone numbers. If you are someone that feels this way, I definitely sympathize with you. What business does an app for a social media site have asking for access to phone numbers? Let me (hopefully) ease your mind by telling you that the app is only requesting this information so you can use it to make phone calls through the app by clicking on your contact’s phone number. You are in control of when the calls are made and who you are calling. The app will not make random phone calls to the contacts in your address book without you knowing about it. The same thing is true with your text and SMS messages. 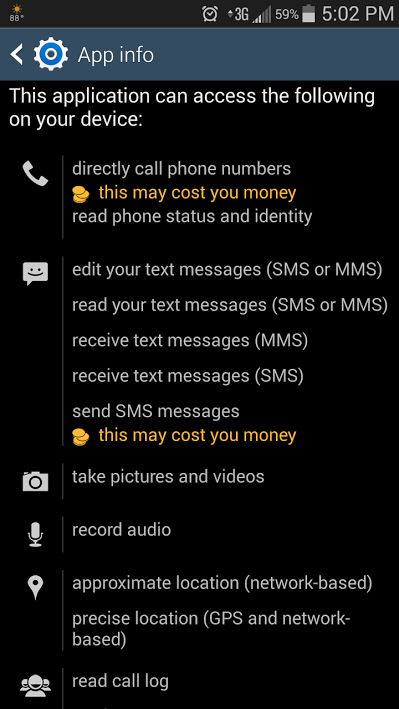 If you want to be able to send and receive text messages through the app, you have to allow the app to have access to your text messages and your contacts. Facebook will not send messages without you knowing and is not going to read and share all of the messages in your phones inbox. Think of it this way… The app has been downloaded to around one billion devices. Let’s assume that, on average, each of the one billion users sends ten text messages per day (which is a low estimate). That would mean that if the app were indeed reading each and every message sent by each and every user, they would be reading over ten billion text messages every day. One thing that may be most unclear is why the app is asking for access to your phone’s status and identity. One possible explanation for wanting to know the identity of your phone or device could be to make sure you are not trying to pirate any software, but I have been unable to find a clear cut explanation for this. If this is something that concerns you, take the time to read the full set of terms and conditions before automatically agreeing to them. And remember, if you have used any sort of Facebook or other social media app on your phone before, they may already have access to this. There are other permissions that the app asks for as well, such as your location, access to your contacts, access to your accounts, and access to your Wi-Fi connections. Like with the others, the app is not asking for these for any other purpose than to assure that the app will work correctly and be as user friendly as possible. I hope that this has helped you feel better about using the Facebook Messenger App. If you are still uncomfortable, or would prefer a more traditional method of sending Facebook messages, you can do so through the website and mobile website. This is a very interesting and fun app, and if you choose to use it, you have no reason to be scared of it! Here are some links that I used to help me gather info for this blog post! You might find them interesting too!